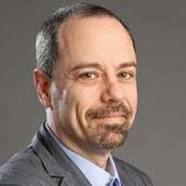 Jay Samit has been described by Wired magazine as “having the coolest job in the industry.” He is a leading technology innovator who has raised hundreds of millions of dollars for startups, sold companies to Fortune 500 firms, taken companies public, and partnered with some of the world’s biggest brands, including Coca Cola, McDonald’s, General Motors, United Airlines, Microsoft, Apple, Verizon, and Facebook. Samit is CEO of SeaChange International, a leading global multi-screen video software company. A technology innovator and entrepreneur, he was a senior advisor to LinkedIn and was appointed to the White House initiative for education and technology by President Bill Clinton. Samit is the host of the Wall Street Journal Startup of the Year series. Samit helped grow pre-IPO companies such as Linkedin, held senior management roles at Sony and Universal Studios, pioneered breakthrough advancements in mobile video, internet advertising, ecommerce, social networks, ebooks, and digital music that are used by billions of consumers every day. An adjunct professor at USC, Samit teaches innovation at America’s largest engineering school and is author of Disrupt Yourself: Master Personal Transformation, Seize Opportunity, and Thrive in the Era of Endless Innovation. He frequently appears on ABC, Bloomberg, CBS, CNN, Fox, MSNBC, NBC and tweets daily motivation to the over 100,000 business professionals who follow him on Twitter. An expert on transformational corporate change, Samit has been quoted in The New York Times, The Economist, Businessweek, Forbes, Los Angeles Times, USA Today, Fast Company and TechCrunch. He was awarded with the Leonardo Da Vinci Lifetime Achievement Award. Stuart Bracken is the CEO of Bioscape Digital which provides patient focused educational content to partners within the healthcare ecosystem. A successful entrepreneur, Stuart’s career to date includes co-founding three separate companies. His experience includes expertise in Mobile, SaaS, and License models. 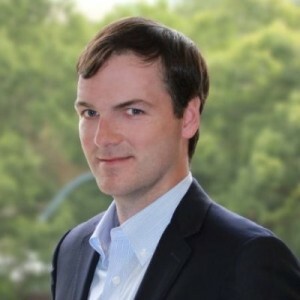 Stuart holds a Bachelors Degree in Business and Information Systems and a Masters in Accounting from Wake Forest University, as well as an MBA from The Goizueta Business School at Emory University. He is currently the president of The Goizueta Business School Alumni Entrepreneur Network (GAEN) which was founded to foster and inspire the Goizueta Business School alumni entrepreneurial community. He is also currently a mentor at Flashpoint Startup Accelerator, a startup accelerator program at Georgia Tech which provides entrepreneurial education, shared learning, and a competitive, accelerated environment for business model and technology development.